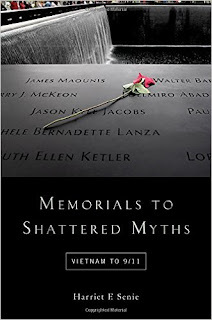 Harriet F. Senie is the author of the new book Memorials to Shattered Myths: Vietnam to 9/11. 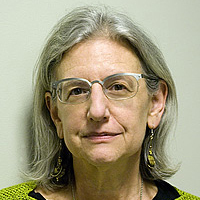 Her other books include Critical Issues in Public Art and The Tilted Arc Controversy. She directs the M.A. Program in Art History and Art Museum Studies at City College, and teaches at the CUNY Graduate Center. Q: How did you come up with the idea for Memorials to Shattered Myths? A: It didn’t come to me all together at once. I was thinking about Vietnam for a while—I went to the Vietnam memorial…I began to be very interested in how engaged everybody was with the wall, the objects they left there. That led me to the second chapter, with the spontaneous memorials. That was chapter 1 and 2. 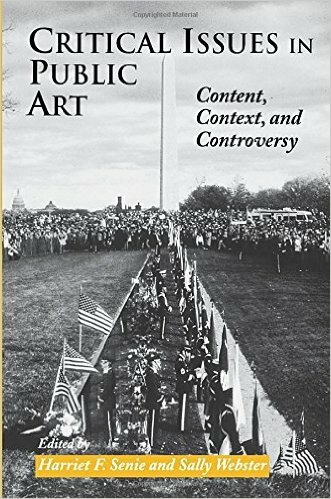 In thinking about Vietnam and the placement of the memorial, it was such a contentious war that almost split the country apart and continues to do so, and we’ve sited it in the midst of the national identity, on the Mall between Washington and Lincoln. I started thinking about myths of national identity, about Oklahoma City, about Columbine, and the memorials to the victims. They weren’t heroes. As the daughter of parents whose lives were altered by the Holocaust, the construction made no sense to me. With 9/11, it seemed to form a continuum in my mind. The notion of unintentionally embedding strategies of division and denial has to do with the way the country doesn’t own up to its potential implication in these events. It was piecemeal, and it started with the Wall. Q: What you’re saying brings me to a quote from the book, where you write, “Understandably, [the memorials] avoided the toughest question of all: What did these people die for?” Do you think there would be a way for the monuments to address that more directly? A: I think there is a way…in the way that museums are so focused on interacting. There could be a way to have a place where people could reflect, where questions could be posed, and alluded to what led to these events. I’m thinking of reading rooms in museums—that’s a fairly common practice, or where there are comment books in museums. If memorials could truly be educational centers, and they allowed for space for thoughtful contemplation and perhaps guided [discussions]. Now we are expecting multi-part memorials. There could be a spiritual place, a room apart, for quiet spiritual contemplation with the option for guided contemplation. There is not any other way because museums impose a narrative, with a sledgehammer. You might be able to build [such a room], in future memorials, if you have that as part of the mission statement. Q: So you wouldn’t directly throw that question at people. A: Exactly, not in that space where people are having a traumatic experience. You could have a conversation about why you think the people are heroes. Most people seem relieved to have that [question raised and] articulated. One woman said, My brother-in-law was just a banker [and family members] are under pressure to recreate him as a hero. I think these people should be honored, of course. Their families, I can’t begin to imagine the grief. [But] in a national memorial, the conflation [between victims and heroes] is not healthy. Q: You write, “It is useful to define the memorial process as tri-partite: immediate, interim, and permanent.” What value does each of these phases have? A: I think we see how important the immediate ones are. You see how often people create them. After 9/11, people needed to express themselves…we need to do something, whatever that is. I started teaching memorial classes after 9/11; I hadn’t before. They serve a purpose in the immediate shock of the events—to be together, to share our dismay and express ourselves. That’s really important. Interim memorials are also important. They may be more important to the people who lost somebody. I came to the notion of interim memorials from two directions. From the other, from my perception, asking people who just lost somebody to design a permanent memorial is not a good thing. When you’re in grief—my husband died three years ago; it’s a fresh experience in my mind—long-range planning is not something you’re able to do. But it’s good to have something to do. [Families should be consulted but] building memorials requires a professional background to know what’s possible, how you want something to be different from one memorial or similar to another. I don’t think, emotionally or professionally, that’s the best way to construct a committee to build a memorial or build a proposal…That was where the interim [idea] came from. I thought, what could they do? It’s good to be together and to have something to do. They should tell us what they need. Q: You look at memorials to the Vietnam War, the Oklahoma City bombing, the Columbine school shooting, and 9/11. What themes do you see running through these memorials? With Vietnam it’s arguable, but they all conflate heroes and victims. If it were only Vietnam, I wouldn’t say that, but in a way you can consider people killed in the war victims of government policy. I could make that case. I would say at the very least they are conflated…. The seeds of that [conflation] are there in every memorial—it’s obvious and misguided. People who went to work or school that day may have behaved heroically, but were victims of that time and place. To create memorials that honor them as heroes is a disservice. It’s a disservice to what really happened, to the truth, so it is a real problem. The other thing that comes about as a result is by defining victims as heroes, in the end we define ourself as a nation of victims, and that’s the opposite of what was intended. One more thing beneath the surface is the Holocaust. The Holocaust is related to every one of these. I wasn’t expecting to find this. The [Vietnam] memorial and the [Holocaust] museum were approved by Congress at the same time. With Oklahoma City, the man who wrote a book about the Holocaust Museum and a book about Oklahoma City said [the Oklahoma City memorial] is based on the Holocaust Museum. Edward Linenthal. That’s the direct link. When I was in Oklahoma City for the 10th anniversary, the Holocaust was linked to it. Holocaust survivors began the ceremony. Columbine was on the anniversary of Hitler’s death. The director of the 9/11 Museum was previously the director of the Holocaust Museum. That’s fewer than six degrees of separation. I just mention this in the introduction—it strikes me as resonant. The Holocaust victims stand as the quintessential victims in Western European history, in the 20th century. It’s lying there. Q: So you see this issue of conflation relating back to the Holocaust. A: It does for me. I grew up among Holocaust survivors. Growing up, they got together, families stayed close together, [they] celebrated. Children are very quick to pick up on tone, if this were a depressed crowd, and they were not. “Oh my God, what did I lose”—I never heard that, and my mother lost plenty. I was having one of those “what” moments. It’s not to dishonor the families and their grief, or those who died tragically, but they were not heroes. Many behaved heroically during the Holocaust, and during these events, but they were not heroes as a group, except on Flight 93. There could have been other things like that, possibly, but we don’t know. 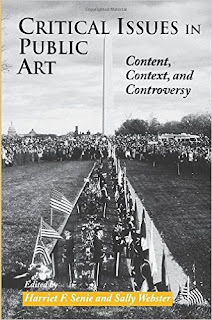 A: I’m co-editing a huge anthology for Wiley Blackwell, The Companion to Public Art. I have an essay on the conflation of heroes and victims. I tried to articulate why I think that’s possible, going back to the ‘60s and the inversion of values and new types of movie stars like Dustin Hoffman and new music stars like Dylan. It was an inversion of what we thought of as stars. It gave me the opportunity to push that theme more strongly and contextualize it in a cultural way. 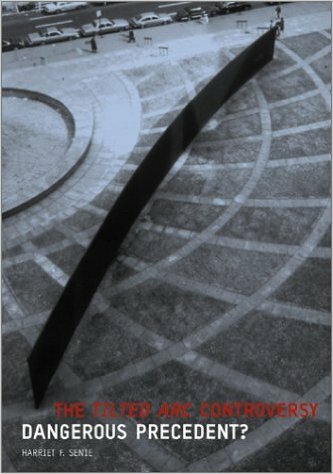 Also, an anthology on the relationship between museums and public art. That has less of a broader cultural reach. It’s more of an art-world thing. And long-range, I’m working on the theme of the road in American art. We have road literature, road movies—there’s also road art. Art is always marginalized in general. I have started work on that—that’s going to be fun.